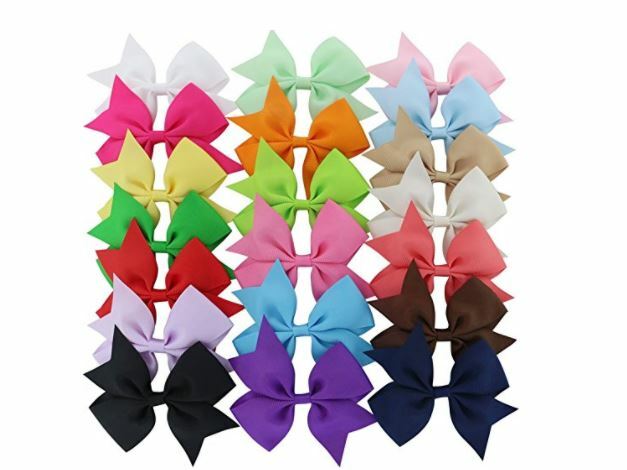 Get this set of 20 Grosgrain Ribbon Hair Bows on sale for $3.99. The reviews are great on this deal and this is sold by someone other than the ribbon deals we've seen in the past. Bows are great quality, my daughter's twin brother- no matter how hard he pulls- is NOT able to untie or distort the shape of the bow. This was the best buy because I promise they're the same as ones in stores sold for much more! And the colors are amaaaazing!